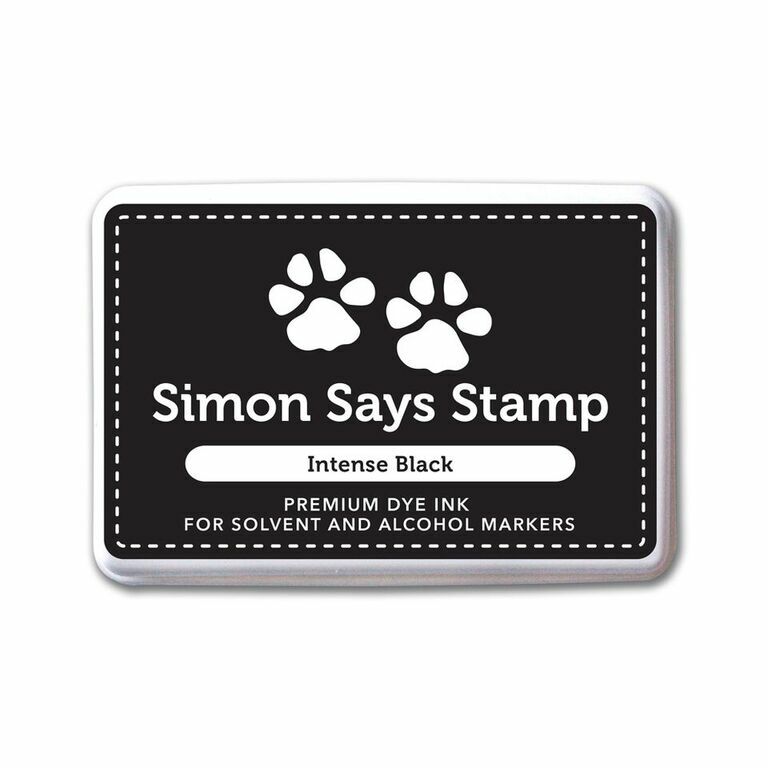 Simon Says Make for the Border! For my challenge, I have used Weeping Willow Archway die from Memory Box to make the border on my blog. I die cut the Weeping Willow Archway die using watercolour paper. Then I coloured the die cut using Zig Clean Brush markers. 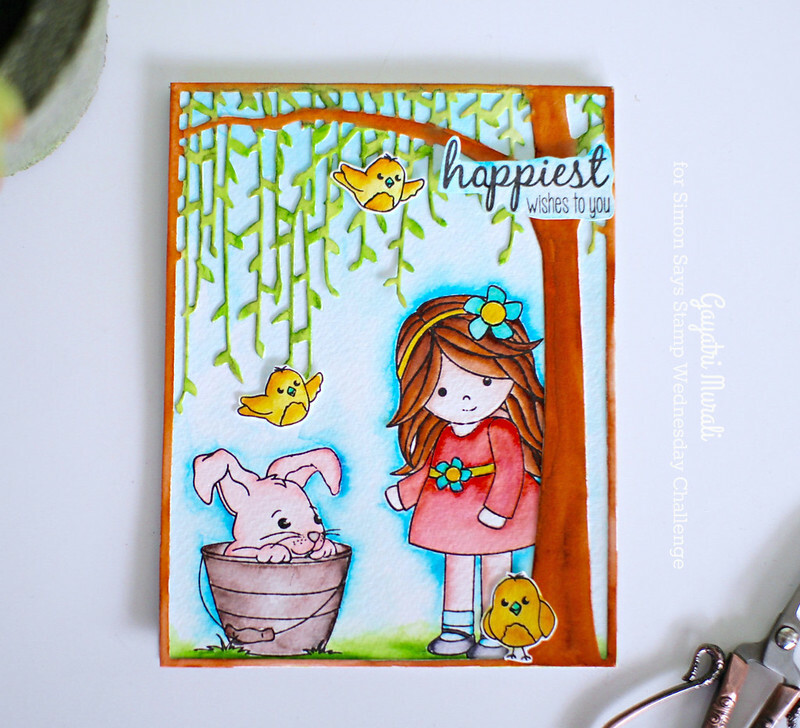 While the watercoloured die cut was drying, I stamped the images from Springtime Critters and Melody’s Easter stamp sets on watercolour paper and also coloured the images and background with Zig Clean Brush markers. The chicks I stamped on a scrap piece of watercolour paper, coloured and hand cut them out. 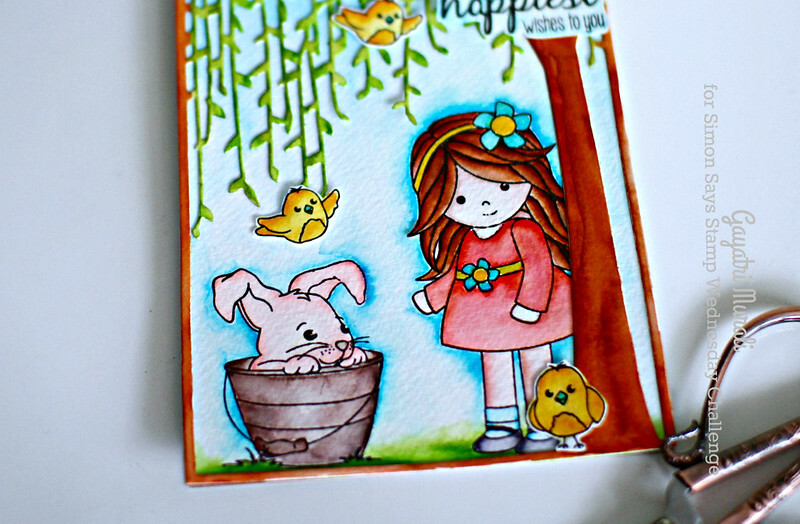 I simply adhered the Weeping Willow die cut on top of the background coloured panel then layered adhered the chicks. 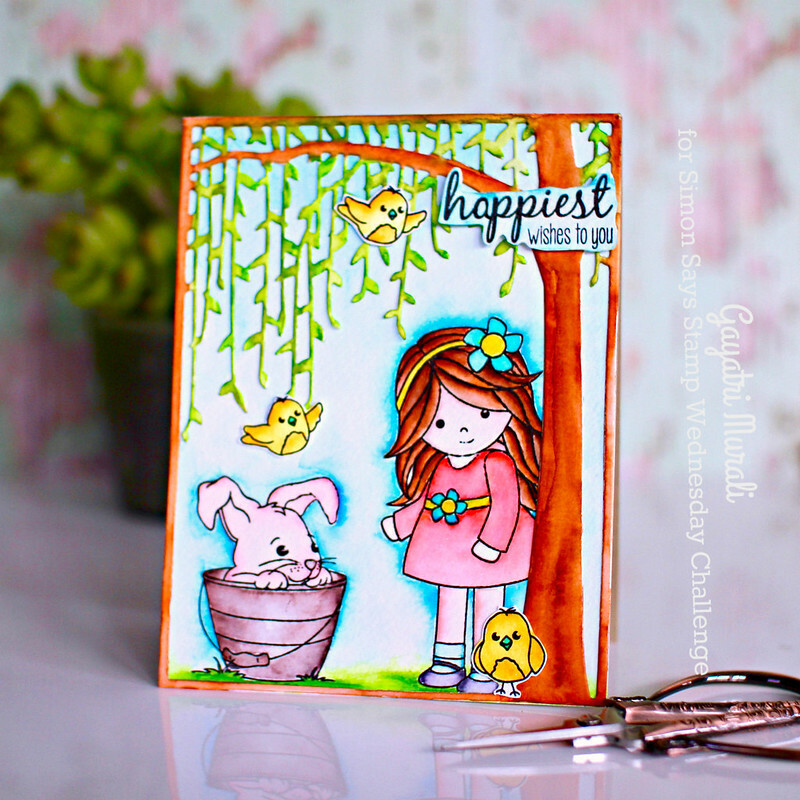 The sentiment is from Springtime Critters stamp set. It actually says “Hoppiest wishes to you”. I used a black fineliner to make a ‘a’ out of ‘o’. Here are pictures of the card. I am crafting after a few days break as I was away. I simply enjoyed colouring. This is the first time I have got back into crafting the day I came back. Pretty happy with how the card turned out. Hope you like it too. How cute is this, Gayatri?! My favorite part of your cute scene are those sweet birds! Such a fun card!